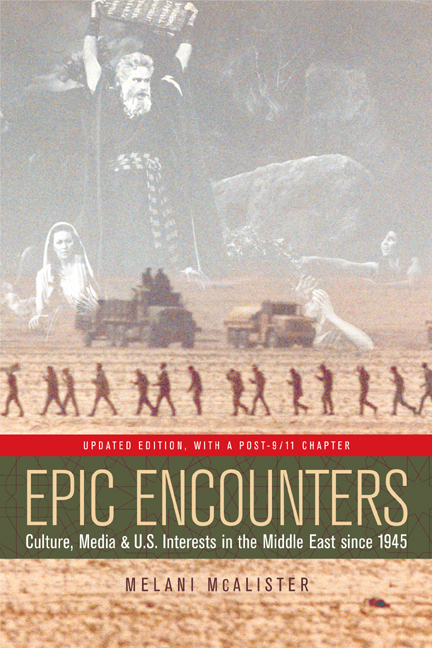 Epic Encounters examines how popular culture has shaped the ways Americans define their "interests" in the Middle East. In this innovative book—now brought up-to-date to include 9/11 and the Iraq war—Melani McAlister argues that U.S. foreign policy, while grounded in material and military realities, is also developed in a cultural context. American understandings of the region are framed by narratives that draw on religious belief, news media accounts, and popular culture. This remarkable and pathbreaking book skillfully weaves lively and accessible readings of film, media, and music with a rigorous analysis of U.S. foreign policy, race politics, and religious history. 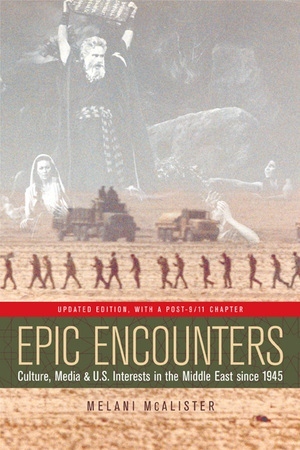 The new chapter, titled "9/11 and After: Snapshots on the Road to Empire," considers and brilliantly analyzes five images that have become iconic: (1) New York City firemen raising the American flag out of the rubble of the World Trade Center, (2) the televised image of Osama bin-Laden, (3) Afghani women in burqas, (4) the statue of Saddam Hussein being toppled in Baghdad, and (5) the hooded and wired prisoner in Abu Ghraib. McAlister's singular achievement is to illuminate the contexts of these five images both at the time they were taken and as they relate to current events, an accomplishment all the more remarkable since—to paraphrase her new preface—we are today struggling to look backward at something that is still rushing ahead. Melani McAlister is Associate Professor of American Studies and International Affairs at The George Washington University.